Juliusz Wolfsohn (1880-1944) came from a well known Zionist family. His uncle, David Wolfsohn, was among the first Zionist leaders, later he became Theodor Herzl's successor as President of the World Zionist Organization. 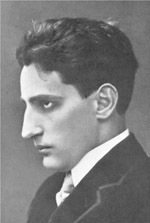 Juliusz Wolfsohn studied piano at the Conservatories of his home city, Warsaw, and in Moscow and then with Raoul Pugno in Paris and with Theodor Leschetizky in Vienna. 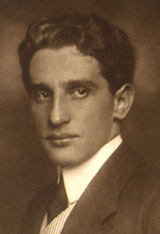 Already in the early 1910s Wolfsohn began, without any connection to the activities in St. Petersburg, to collect and arrange Jewish folk songs. Until 1920 he composed 12 „Paraphrases on Old Jewish Folk Tunes“ for piano, which were printed in 3 volumes by Universal Edition, as well as a "Jewish Rhapsody" for piano, which was also based on Jewish folk themes. Together with Joachim Stutschewsky, Abram Dzimitrovsky and Israel Brandmann, Wolfsohn was one of the protagonists of the Society for the Promotion of Jewish Music in Vienna; he moreover supported Jewish art music as a renowned music critic. His „Hebrew Suite“ for piano and orchestra, which was internationally performed in the 1930s, became his most successful composition. In 1939 Wolfsohn fled to the USA, he died in New York.